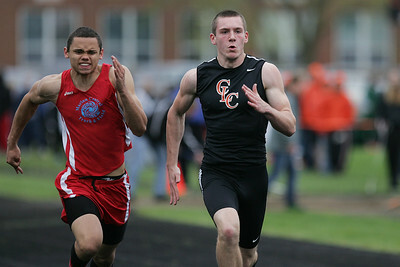 Mike Greene - mgreene@shawmedia.com Marian Central's Jordan Niemeyer (left) chases Crystal Lake Central's Isaiah Mosher in the third heat of the boys 100 meter dash semi-finals during the McHenry County Track & Field Meet Thursday, April 19, 2012 in Crystal Lake. 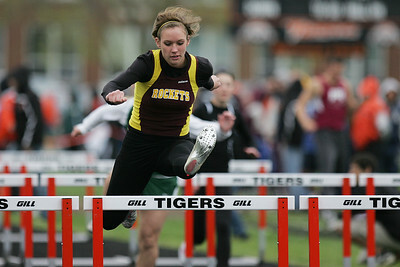 Mike Greene - mgreene@shawmedia.com Richmond-Burton's Talia Sheedlo jumps while racing in the second heat of the girls 100 meter hurdles semi-finals during the McHenry County Track & Field Meet Thursday, April 19, 2012 in Crystal Lake. 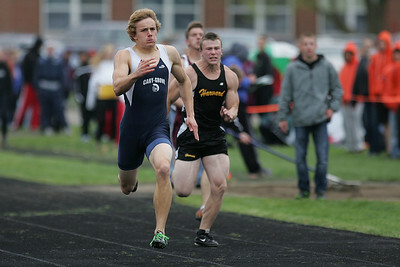 Mike Greene - mgreene@shawmedia.com Cary-Grove's Tommy Rohn races in the third heat of the boys 100 meter dash semi-finals during the McHenry County Track & Field Meet Thursday, April 19, 2012 in Crystal Lake. 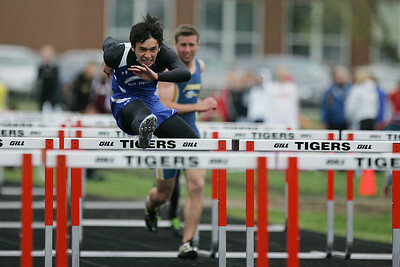 Mike Greene - mgreene@shawmedia.com Woodstock's Tyler Parsons jumps while racing in the first heat of the boys 110 meter high hurdles semi-finals during the McHenry County Track & Field Meet Thursday, April 19, 2012 in Crystal Lake. 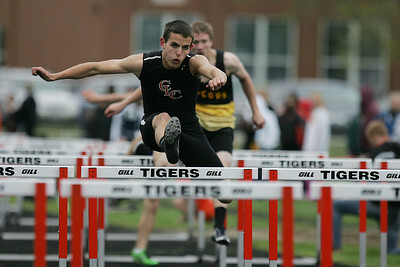 Mike Greene - mgreene@shawmedia.com Crystal Lake Central's Robert Ferris jumps over a hurdle in the boys 110 meter high hurdles semi-finals during the McHenry County Track & Field Meet Thursday, April 19, 2012 in Crystal Lake. 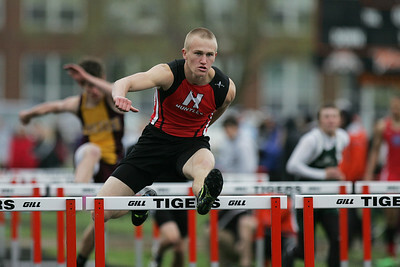 Mike Greene - mgreene@shawmedia.com Huntley's Jake Brock jumps over a hurdle in the fourth heat of the boys 110 meter high hurdles semi-finals during the McHenry County Track & Field Meet Thursday, April 19, 2012 in Crystal Lake. 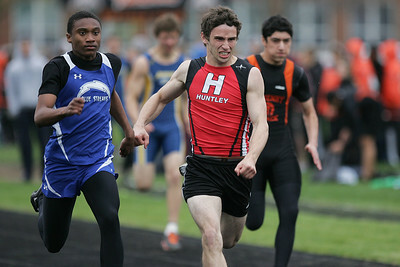 Mike Greene - mgreene@shawmedia.com Woodstock's JerPatrick Cosper (left) races against Huntley's Ryan Tharp in the fourth heat of the boys 100 meter dash semi-finals during the McHenry County Track & Field Meet Thursday, April 19, 2012 in Crystal Lake. 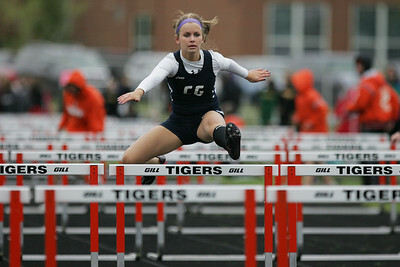 Mike Greene - mgreene@shawmedia.com Cary-Grove's Megan Jacquier competes in the third heat of the girls 100 meter hurdles semi-finals during the McHenry County Track & Field Meet Thursday, April 19, 2012 in Crystal Lake. 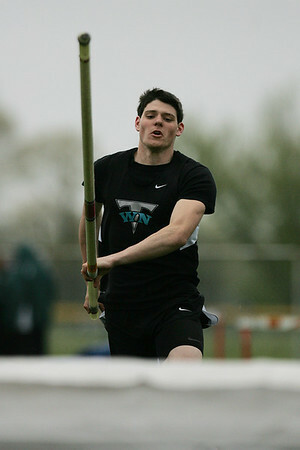 Mike Greene - mgreene@shawmedia.com Woodstock North's Jon Walsh competes in the pole vault event during the McHenry County Track & Field Meet Thursday, April 19, 2012 in Crystal Lake. 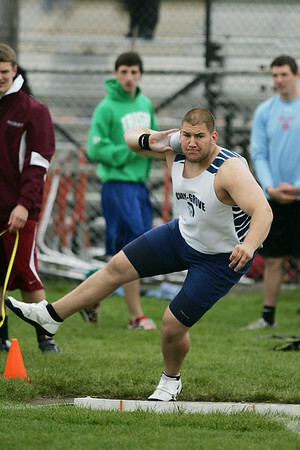 Mike Greene - mgreene@shawmedia.com Cary-Grove's Josh Freeman competes in the shot put during the McHenry County Track & Field Meet Thursday, April 19, 2012 in Crystal Lake. Freeman won first place in the event with a throw of 65-1, which ranks as the third best in state history. 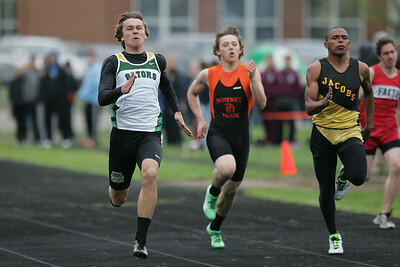 Mike Greene - mgreene@shawmedia.com Crystal Lake South's Zane Boettcher runs in front of the pack in the first heat of the boys 100 meter dash semi-finals during the McHenry County Track & Field Meet Thursday, April 19, 2012 in Crystal Lake. 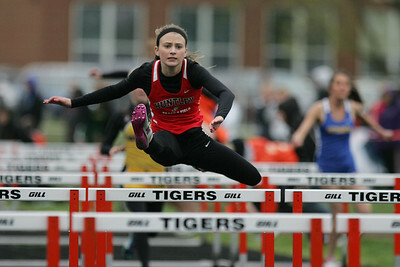 Mike Greene - mgreene@shawmedia.com Huntley's Macy Tramblay competes in the third heat of the girls semi-finals during the McHenry County Track & Field Meet Thursday, April 19, 2012 in Crystal Lake. 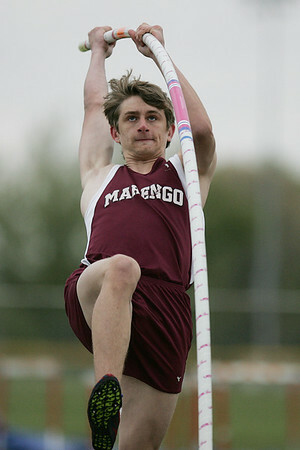 Mike Greene - mgreene@shawmedia.com Marengo's Mike Zaranski competes in the pole vault event during the McHenry County Track & Field Meet Thursday, April 19, 2012 in Crystal Lake. 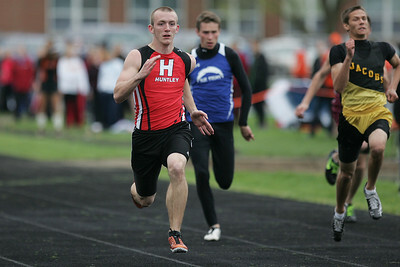 Mike Greene - mgreene@shawmedia.com Huntley's James Davis races in the second heat of the boys 100 meter dash during the McHenry County Track & Field Meet Thursday, April 19, 2012 in Crystal Lake. Mike Greene - mgreene@shawmedia.com Huntley's Omo Tseumah during the McHenry County Track & Field Meet Thursday, April 19, 2012 in Crystal Lake. 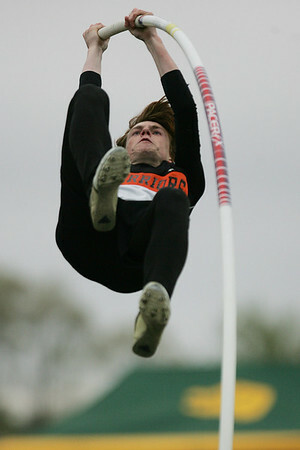 Mike Greene - mgreene@shawmedia.com McHenry's Nate Richartz goes airbourne while competing in the pole vault event during the McHenry County Track & Field Meet Thursday, April 19, 2012 in Crystal Lake. Richartz took first place in the event. 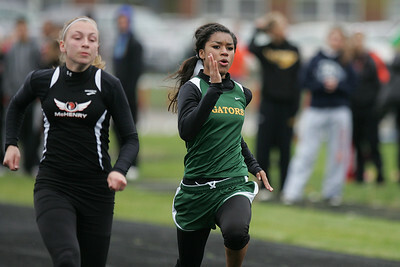 Mike Greene - mgreene@shawmedia.com Crystal Lake South's Lana Summers runs in the fourth heat of the girls 100 meter dash semi-finals during the McHenry County Track & Field Meet Thursday, April 19, 2012 in Crystal Lake. 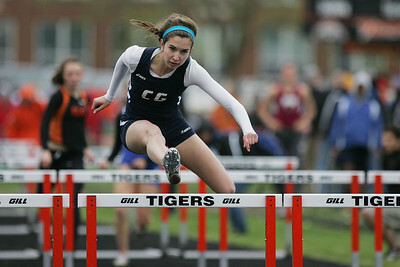 Mike Greene - mgreene@shawmedia.com Cary-Grove's Kathie Wollney races ahead of the group in the first heat of the girls 100 meter hurdles semi-finals during the McHenry County Track & Field Meet Thursday, April 19, 2012 in Crystal Lake. 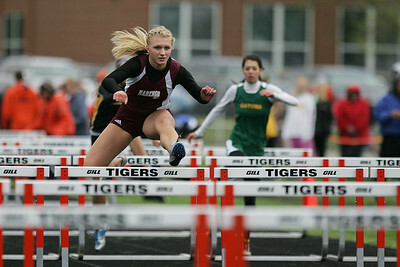 Mike Greene - mgreene@shawmedia.com Marengo's Allison Rogutich breaks away from the group while competing in the fourth heat of the girls 100 meter hurdles during the McHenry County Track & Field Meet Thursday, April 19, 2012 in Crystal Lake.